The weekend is finally here and while the forecast is calling for a little rain, there is no snow in sight! 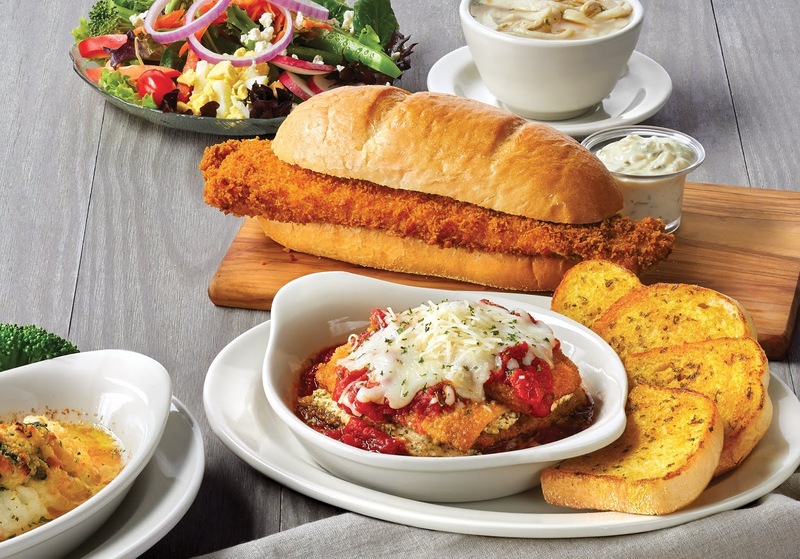 *Knock on wood* While you’re getting out and about and out of the house, stop by your local Eat’n Park and let us do the cooking! Several seasonal favorites have returned to our menu this week including Shrimp Scampi and our always delicious Zucchini Lasagna. 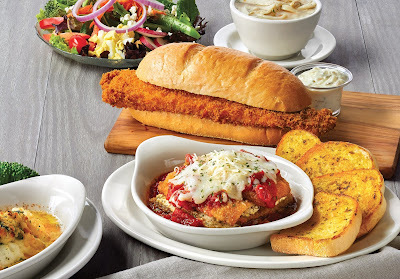 Give them a try today with this coupon for $3 off any $15 purchase – dine in OR takeout! Valid for dine-in or takeout. Apple and Cherry and Oreo, oh my! 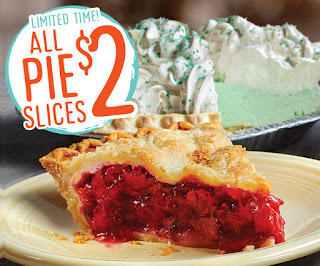 For a limited time, you can enjoy a slice of your favorite fresh-baked pie for just $2. So, let’s get this pie party started the right way: Here’s a free slice on us! Coupon valid February 19-25, 2019. Valid for dine-in or takeout. Not valid on whole pies. We enjoy mixing things up every now and then, including our lineup for our Salad Bar Dinner Deals! Available starting at 11:30 AM, when our Salad Bar opens, you can enjoy any of the following delicious dinners, along with our endless Soup, Salad & Fruit Bar, for only 11.49! 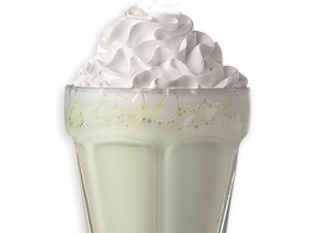 One of our all-time guest favorites! 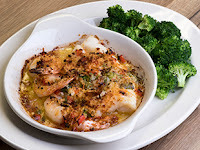 Our Nantucket Cod features oven-baked cod that is stuffed with our homemade blend of crabmeat, shrimp, spinach, onions, and cheddar cheese. We then top it with cracker crumbs and bake it in butter. 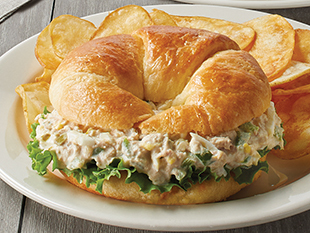 It’s served with your choice of one side and bakery-fresh rolls! This dish boasts grilled chicken breast, Italian sausage, and onions and bell peppers, all tossed with locally made Portogallo Pepper blend over penne. 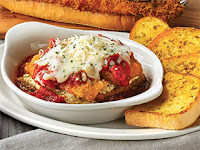 We serve it with our tomato cream sauce, a sprinkle of Asiago cheese, and our garlic toast. If we could, we'd put our handmade bruschetta on everything. Try it served on our herb-crusted baked chicken breast and topped with a balsamic glaze and Asiago cheese. 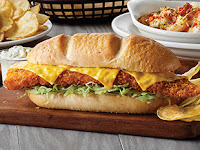 We serve it with your choice of one side and bakery-fresh rolls! An Eat’n Park legend! This dish features our HUGE cod fillet that’s hand-breaded with panko breadcrumbs, fried to a golden brown, and served on a Cellone’s hoagie roll. 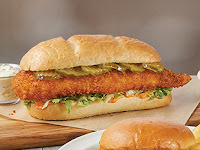 We also serve it with a side of Tartar sauce. A returning Italian favorite to our menu! This selection includes hand-breaded zucchini layered with Italian herbed ricotta and marinara sauce. We top it with mozzarella and Asiago cheese and serve it with garlic toast. Our Premium Salad Bar Dinner Deals and bigger and better than ever. Enjoy any one of the following dishes with our Soup, Salad & Fruit Bar, your choice of one side, and bakery-fresh rolls! A perfect pairing! 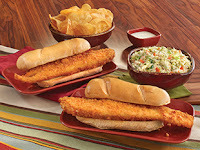 Enjoy our Nantucket Cod served with three crispy butterflied shrimp tossed in OLD BAY® Seasoning. It’s served with a side of cocktail sauce. 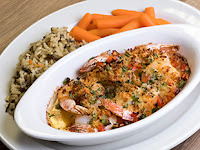 Enjoy six succulent shrimp baked in our scampi butter with red and green bell peppers and then topped with toasty breadcrumbs. Perfect for the shrimp lovers everywhere! 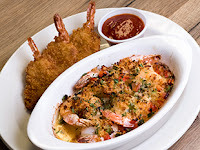 Enjoy six butterflied shrimp with a crispy coating of panko breadcrumbs and OLD BAY Seasoning. We serve it with cocktail sauce for dipping. Our famously HUGE Whale of a Cod fillet, hand-breaded with panko breadcrumbs and fried to perfection. It’s served with tartar sauce on the side. We like pie. Yes, we do. We like pie. How about you? 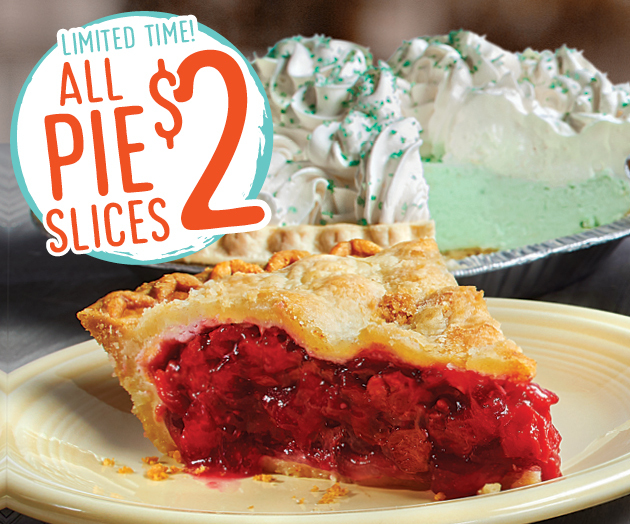 If you’re a pie enthusiast like ourselves, we have great news for you: $2 pie slices are back! For a limited time*, you can enjoy $2 slices of pie morning, noon, and night! Choose from Oreo Crème, Apple, Lemon Meringue, and more! 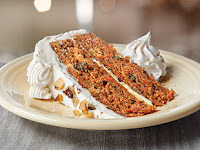 Go ahead and have a slice, or two! Just remember that our pies are baked fresh daily, so make sure to ask your server which pies are available today. Promotion ends March 18, 2019. 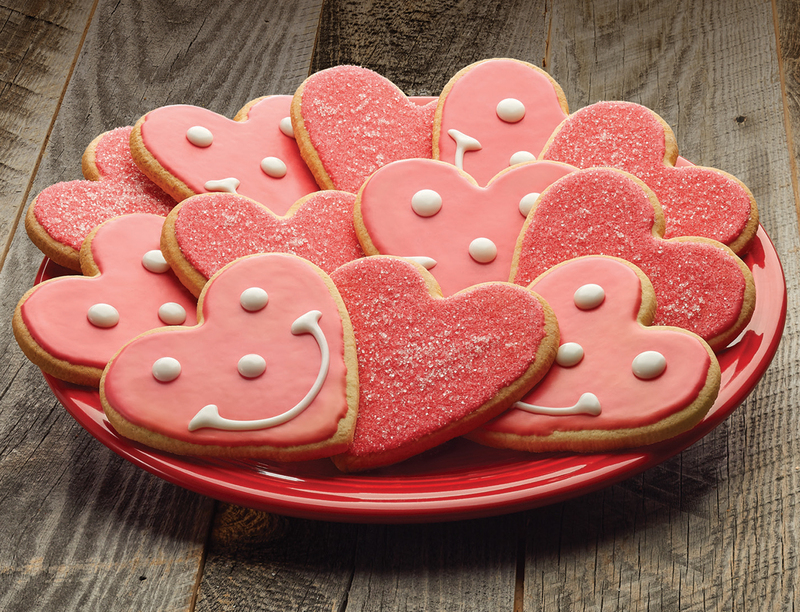 Love is in the air here at Eat’n Park and we want to help you spread the love and share some smiles the only way we know how… through our Heart Smiley Cookies! 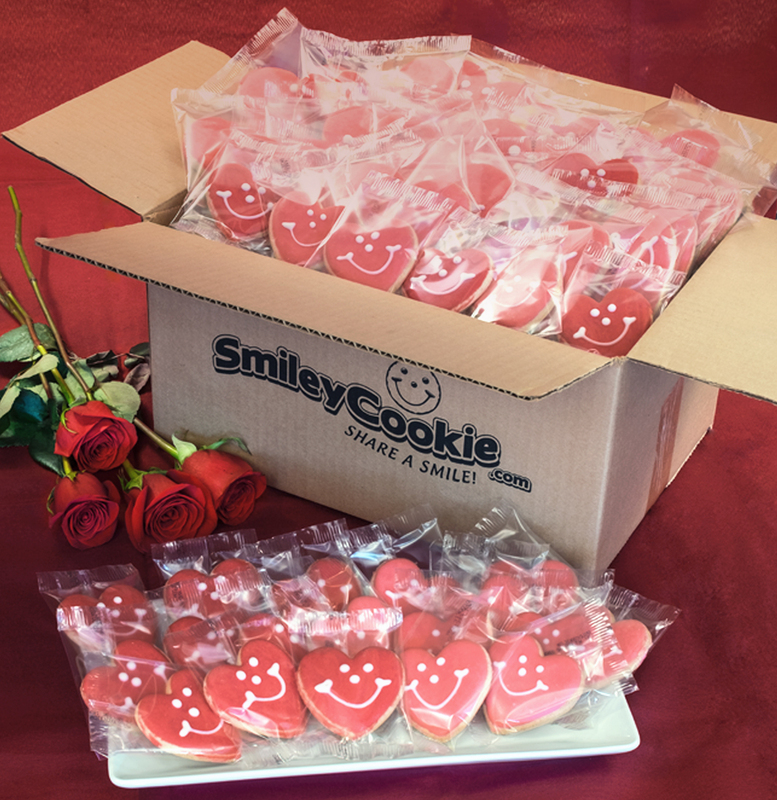 Our seasonal Sweetheart Smiley Cookie packs include six of our classic Heart Smiley Cookies as well as sparkly sugar-coated hearts. For only 6.99 a dozen, they pair perfectly with roses and will make for an unforgettable Valentine’s Day treat! Be the sweetest person in class (or at the office) with our bulk Heart Smiley Cookies, available only at SmileyCookie.com! These treats are nut-free, kosher, and come individually-wrapped, making them an enjoyable treat that anyone can enjoy. Order them by Thursday, February 7th to make sure you get them in time for the upcoming heart holiday! 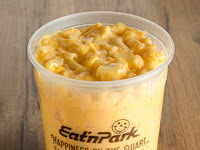 The big game is finally here, and whether you’re watching it for the commercials, the half-time show, or simply to root against the Patriots, make sure your watch party is stocked with all your favorites from Eat’n Park! Our quarts of homemade soup and chili are sure to get your gathering off to a souper start – and they’re only $6.99! Coupon valid February 1-3, 2019.